Whoop and swoop! 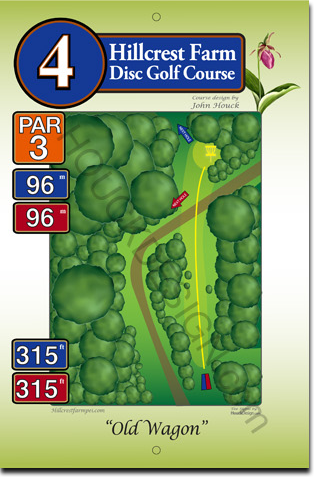 This par 3, 96 metre long hole starts up at a high tee, then swoops downhill to the Nature Trail. From there it swoops back up again to the basket up the far side of another slope. Rather like a wide-looking U!